Best known for his poems and short fiction, Edgar Allan Poe, born in Boston Jan 19, 1809, died Oct 7, 1849 in Baltimore, deserves more credit than any other writer for the transformation of the short story from anecdote to art. He virtually created the detective story and perfected the psychological thriller. He also produced some of the most influential literary criticism of his time, important theoretical statements on poetry and the short story, and has had a worldwide influence on literature. Poe’s parents, David Poe Jr. and Elizabeth Arnold Hopkins, were touring actors; both died before he was 3 years old. He was taken into the home of JohnAllan, a prosperous merchant in Richmond, Va., and baptized Edgar Allan Poe. His childhood was uneventful, although he studied for 5 years (1815-20) in England.In 1826 he entered the University of Virginia but stayed for only a year. Although a good student, he ran up large gambling debts that Allan refused to pay. Allan prevented his return to the university and broke off Poe’s engagement to Sarah Elmira Royster, his Richmond sweetheart. Lacking any means of support, Poe enlisted in the army. He had, however, already written and printed (at his own expense) his first book, Tamerlane and Other Poems (1827), verses written in the manner of Byron. Temporarily reconciled, Allan secured Poe’s release from the army and his appointment to West Point but refused to provide financial support. After 6 months Poe apparently contrived to be dismissed from West Point for disobedience of orders. His fellow cadets, however, contributed the funds for the publication of Poems by Edgar A. Poe … Second Edition (1831), actually a third edition – after Tamerlane and Al Aaraaf, Tamerlane, and Minor Poems (1829). This volume contained the famous To Helen and Israfel, poems that show the restraint and the calculated musical effects of language that were to characterize his poetry. 1833, MS. Found in a Bottle won a $50 prize given by the Baltimore Saturday Visitor. Poe, his aunt, and Virginia moved to Richmond in 1835, and he became editor of the Southern Literary Messenger and married Virginia, who was not yet 14 years old. Poe published fiction, notably his most horrifying tale, Berenice, in the Messenger, but most of his contributions were serious, analytical, and critical reviews that earned him respect as a critic. He praised the young Dickens and a few other contemporaries but devoted most of his attention to devastating reviews of popular contemporary authors. His contributions undoubtedly increased the magazine’s circulation, but they offended its owner, who also took exception to Poe’s drinking. The January 1837 issue of the Messenger announced Poe’s withdrawal as editor but also included the first installment of his long prose tale, The Narrative of Arthur Gordon Pym, five of his reviews, and two of his poems. This was to be the paradoxical pattern for Poe’s career: success as an artist and editor but failure to satisfy his employers and to secure a livelihood. 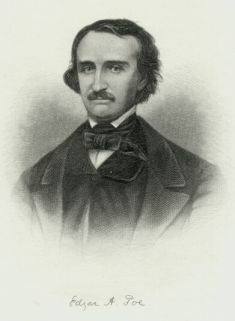 First in New York City (1837), then in Philadelphia (1838-44), and again in New York (1844-49), Poe sought to establish himself as a force in literary journalism, but with only moderate success. He did succeed, however, in formulating influential literary theories and in demonstrating mastery of the forms he favored – highly musical poems and short prose narratives. Both forms, he argued, should aim at “a certain unique or single effect”. 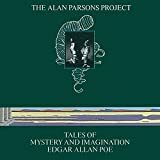 His theory of short fiction is best exemplified in Ligeia (1838), the tale Poe considered his finest, and The Fall Of The House Of Usher (1839), which was to become one of his most famous stories. The Murders in the Rue Morgue (1841) is sometimes considered the first detective story. Exemplary among his musical, mellifluous verses are The Raven (1845 )and The Bells (1849). The first stanza establishes a prototypical image of an island paradise. Often we associate Islands with tropical ocean beauty, as well as isolation. So this paradise of the speaker is isolated (only he can see it, in other words). This is further given the qualities of an imaginary love. The second stanza “clouds” cover the image of the dream and the future calls to him to move forward, but he can’t get over the past that held the dream. The speaker loses the strength to keep going on with life comparing his grief at the loss of his dreams to other things (tree, etc.) that can’t go on into the future once some calaminity happens. The last stanza repeats his spiritual death, while he sees the ghosts of his dream dancing eternally (always in sight, but like ethereal spirits, unable to be physically touched). This is not an instructional poem saying you must do one thing or the other to have a better life. Rather this is analytic poem. Basically this is how it is buddy, you take your own lesson from it. For example an instructional story might claim racism is bad and you shouldn’t be racist, while an analytical story might show you what racism is, depicting the act and the emotions involved, but still making no value judgement (just laying the reality of it out for the reader to come away with their own value judgement). Poe’s poem works the same way; though, it is not about racism. The poem is basically about what happens when you can’t get past a dream you’ve had that has failed (whether it be a relationship you were in with a girl you loved who has dumped you or your dreams of being a rockstar that never reached fruition or like Jude the Obscure by Thomas Hardy whose title character wanted to study the Classics in college and never got the chance). It is about a regret, a longing, that never dies and thus kills the person. If you let your failed dreams hold you down, you can’t enter into what promises the future might hold. Poe, however, doesn’t state that you must stop doing this and get over it (where Emerson in his poem “Give All to Love” pretty much states at the end to get over it and you’ll have a happier life). Poe just depicts the reality of the situation in honest imagery and language, leaving the reader to decide what the speaker should do. is it complete because i need it for tomorrow for my finally contest if you see this comment now pleas send it ti me complete. it’s very beautiul!